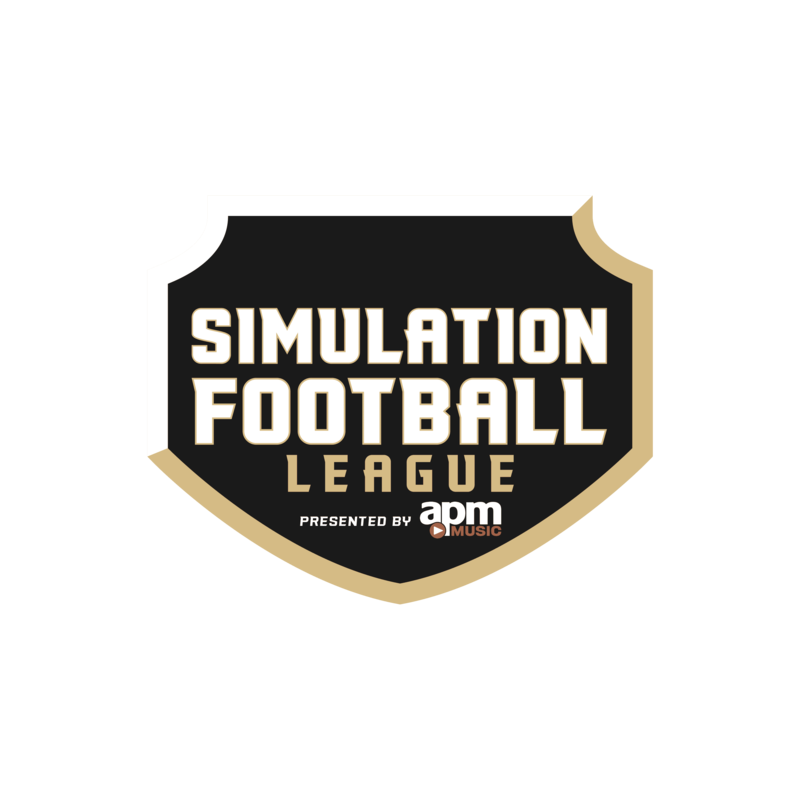 Well, Boys and Girls – we’re officially through the 1st Quarter of the Season, so OF COURSE it’s time to start the prognosticating about who the best players are in the league. 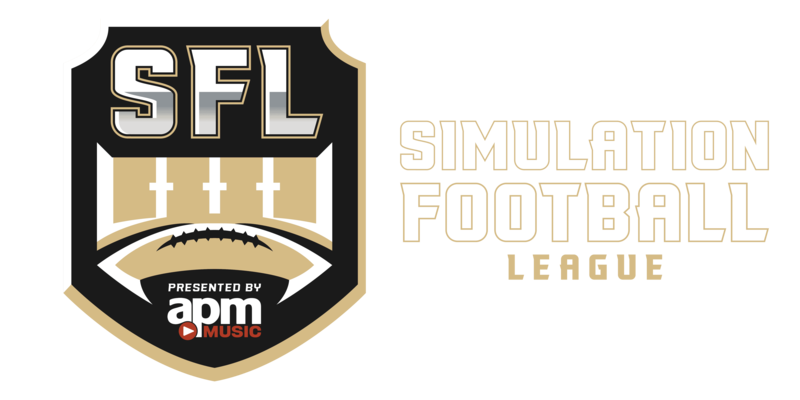 It’s a labor of love, and love for this league is what it takes to make a case 4 games into the season about who is going to be the best at the end of it. Love for this league is what it takes to state your opinion as fact, and then spend the rest of the season hoping you got it somewhat correct by the end of it all. That’s why we’re not leaving this up to chance: The stakes are too high. That’s why you can be sure that, after careful analysis of every player on a roster this season, we’ve arrived at the only logical conclusion that could possibly be reached! After reading this, if you come to a different conclusion than we did, there’s only one explanation that can possibly account for it – you’re wrong. Offensive player of the year is an award given to a player who has not only impacted their team’s performance but impacted the league with an impressive performance throughout the entire season! Today I will be giving a list of who I think is giving that impressive performance and two runner ups. This was a toss up between Xander Gold and Thomas Ramen. 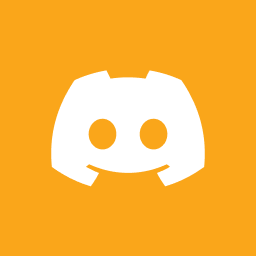 Gold has started out the season on fire and has continued to do so game in and game out. 1/4 way into the season Gold has thrown for 11 touchdowns while throwing 5 interceptions. Out of 164 attempts (3rd most in the league) he has completed a staggering 79.27% of them. He has dominated on the field, finding holes in every defense he has faced so far this year resulting in a QB rating of 110.9. If he can keep up this performance and continue to help New Orleans and lead his offense on the field, he will more than likely stay at the top of the race for offensive player of the season. Sonzo Robinson, a seasoned vet in the league, has had a grand performance. Week in and week out his performances have helped carry Tulsa to 3 wins in the past 4 weeks. Robinson has rushed for 318 yards on 80 carries avg 4.4 yards per carry and 5 touchdowns. He has also showed his dominance as a receiver, catching 17 passes for 120 yards! While he hasn’t had a receiving touchdown yet, it’s only a matter of time should he keep up his stella performance. 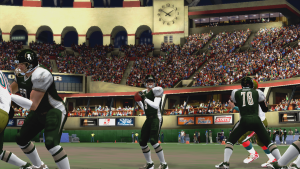 Deezer Powel of the New Orleans Pharaohs is a WR who has either made his QB look great or his QB has made him look great. Either way, they have been the “best duo” of Season 12 so far. So far this season, he has caught 34 passes for a grand total of 633 yards. That’s an astonishing 18.6 yards per catch! All that while helping his team with 6 touchdowns. 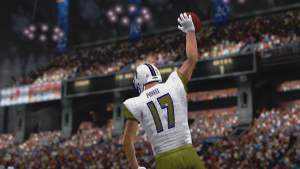 Deezer Powel could very well pass his QB in the race for Offensive Player of the Season should he keep up his performance or if Xander gold starts to slow down. Either way, this dude shows no signs of stopping any time soon. It’s hard to argue about the effectiveness of Max Jackson thus far in Season 12. While there’s many contenders, the Las Vegas safety is at least a half-step above every other contender and being a player who would likely appear on every one’s list of players who’ll be in the mix. Jackson stands among tops in the league in counting stats with 34.5 tackles, 1 tackle for loss, 2 pass deflections, and 2 interceptions. That number is even more impressive when you consider that the Fury are one of four teams who’s taken a bye already. Among all players, Jackson carries the highest number of tackles per game, a number that’s even more impressive when comparing him to his fellow safeties, where the only player sniffing his numbers on a per game basis is Peyton Ellis. There’s numerous players deserving of being the early front runner, but Jackson really is separating himself early. The two closest competitors to Max Jackson are the two early stars on the defensive line this season. Tempel has been an absolute force, especially as of late. He’s carried 17.0 tackles and an astounding 8.0 sacks (a good two full sack lead over second and third place DT’s Chris Colon and Fats Johnson). On top of that, he’s given a lot of responsibility on an Indianapolis defense that doesn’t have much investment in the front seven. Gib Leedoo has run very hot and cold to start this season. He started out as the early favorite with a 6.5 sack opening week game, setting an unsustainable pace. He’s cooled off recently but has still put up 3.5 sacks in the last two weeks and became the first player to reach double digit sacks on the year. This has been a major revelation for the Desperadoes where his impact as a premier pass rusher wasn’t seen last year anywhere in Tulsa, and they’ve now turned their team into a top five scoring unit. 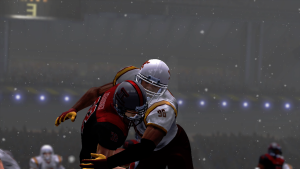 Kevin Bane’s (12.5 tackles, 6.5 sacks) impact in Alaska cannot be understated as his addition, with the continued excellence of Alex Dominguez (11.0 tackles, 4.0 sacks) has the Storm as the top scoring unit in the league. Nick Fargo (41.0 tackles, 7 tackles for loss) and Mike Sawchuk (26.5 tackles, 1 tackle for loss) have been absolute forces in the middle of the field. 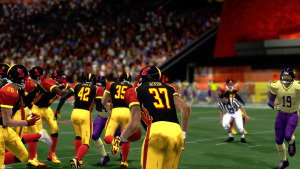 Fargo leads the league in tackles on what looks like an elite run stopping unit, while Sawchuk has been among the league’s most exciting players since joining the Nightwings week 2. He’s certainly at a disadvantage given the missed week of play, but if he continues to pick up where Echo Love left off, then he’ll certainly be in the mix. As there were only a handful of rookies drafted to offensive positions, it was fairly easy separate the wheat from the chaff. Here’s how it ended up when I was done. This one comes down to Ashley Jackson, Moody Mitchell or T.D.Drew. It’s honestly pretty even going by stats and strength of schedule, and I wouldn’t fault anyone for the order that they choose to rank these 3 in comparison to one another. Completion % was similar between all of them, as well as yardage and QBR. For me, it came down to TD/INT +/-, and Moody Mitchell leads the pack here. The only knock on him that I could see was his sack total, but every sack taken is an INT not thrown, so I can’t fault him for it. This category was pretty straightforward to me. Anyone with a pulse can tell that Reggie Streeter and JW Doyle are killing it so far this season. At first glance, I could see an argument for Zack Sandlin here as well, but although he’s producing yards on the ground, he’s not reaching paydirt the way the other two backs are, so I can’t give it to him. Streeter and Doyle are both having great success in their respective rookie campaigns, and Doyle has done it with less carries which, in my mind, makes up for the rushing TD differential… but not the receiving TD differential. Streeter’s 2 receiving TDs push him clearly out in front in my opinion. A TRUE Dual Threat RB is a real problem in this league, and Streeter is putting teams on notice, one week at a time. Editor’s note: It must be noted that yes, JW Doyle is in fact in his second season in the SFL. He’s NOT a rookie. However, his inclusion in this segment could be attributed to his non-existent performance for OKC last season. Just a thought. Sorry Doyle. Rcvrs This group came down to Stephen Hacker, Rich Pratchard and Bishop Warfield for me. The Biggest stat differential I saw in this group: 1. As in, Bishop Warfield has played in 1 LESS GAME than the other two on this list, and is still in the conversation. The reason that was such a key thing for me is it helped me choose between the other two in the group. If Bishop keeps producing at the pace he’s on, he IS Rich Pratchard after his 4th game… but he still wouldn’t be Stephen Hacker. Hacker’s got more receptions and more TDs, which are pretty much everything this position is about. 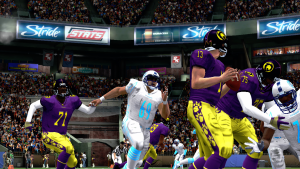 6 TD’s through 4 games puts him in ALL STAR company, especially considering who QCC’s played so far this season. I’d keep an eye on Warfield, though – those stats he’s got have come against the best of the best, which will definitely come into play if he’s still in the conversation at season’s end. So… Streeter, Mitchell and Hacker. At this point, it comes down to who is most likely to continue to produce at their current pace for the remainder of the season. Mitchell’s biggest hurdle to jump on his way to the finish line is how often he’s asked to throw – which is all the time. He’s averaging 45 attempts a game, which is great for stats, but also great for INTs, especially in this league. Hacker’s biggest issue is the unrealistic pace he’s set – it’s hard to believe he’s going to continue it, seeing as that would put his season end stat line around 160 receptions for 24 TDs on 200 targets. Teams will start to slide coverages his way, and make QCC spread it out to other options. 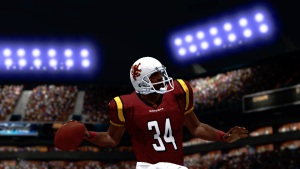 That leaves us with Reggie Streeter – 8 All Purpose TDs through 4 games is enough to get anyone to notice you in this league, and Reggie Streeter was never shy about that being his goal when he showed up in this year’s draft. Accounting for TDs on the ground and in the air makes it hard for defenses to predict where his attack will be coming from, and although LON’s record might not seem immediately indicative of the caliber of player he is, Reggie is doing all a single player can to keep his team in the hunt from game to game. He’s such a big part of both prongs of their offensive attack that it seems likely his production will stay strong, and if it does, he’ll be holding the Offensive Rookie of the Year award above his dead tired shoulders, right next to the Knights Offense. Through the first one-third of the season, Everett Garrison has been the sexiest and highest peaking defensive rookie in the league. He’s been asked to step into the role that Pro Bowler Ryan Michaels vacated in the offseason and he’s been one of the best players in the entire league, certainly filling the shoes he left behind. 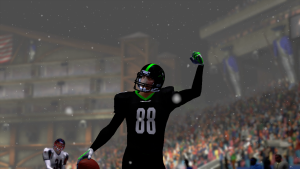 Despite the team’s overall struggles, Garrison has recorded a league-leading six interceptions, including a hat trick performance in a defensive struggle with the Mexico City Aztecs and two-interception performance versus Tom Pepper and the Vancouver Legion where he ended the game on a pick six as time expired. Garrison could be in line for this award and much more in his pro career. 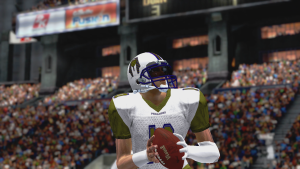 Since entering the league week two, Mike Sawchuk has been one of the most impressive players in the league. Among active players, he ranks third in tackles per game at an astonishing 10.3 takedowns per game, a pace that puts him at 124 tackles on a full season of play. Even with the missed initial week of play, Sawchuk is still clearly setting himself apart from the rest of the pack in a rookie class that was certainly skewed towards offensive play. While probably not as purely dominant as Garrison or Sawchuk so far, Gustafson has been a very effective player for the Sharks. He’s tied for first among all safeties in tackles recorded per game while recording two pass breakups and two interceptions and being tops on his team in such a category. While it’s generally not great for a secondary player to be the highest ranked player on his team in that category, it’s impressive nonetheless, especially for a player who was taken towards the end of the draft. Denzel Maverick’s numbers may not standout, even on a defense that hasn’t been performing amazingly, but he still has brought a valuable pass rush in a class that’s been shallow on talent in the trenches. Ramen Jr. has been a critical component to the breakout season the Fury have had so far as a key cog in run support and as a high end #2 corner. Justin Jones and Han Tyumi’s impact doesn’t show up on the statsheet but they’ve both been high end players that’ve been locking players up all season. 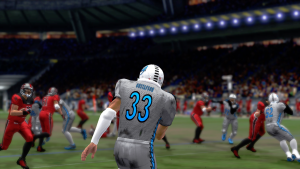 Like Tyumi, Gus Schultz is ultra critical to the scheme his team runs and has been a key guy in getting the Legion to the next level defensively (after already posting good to great defensive numbers in previous seasons) by chipping in 10 tackles per game and two interceptions through only three apearances.